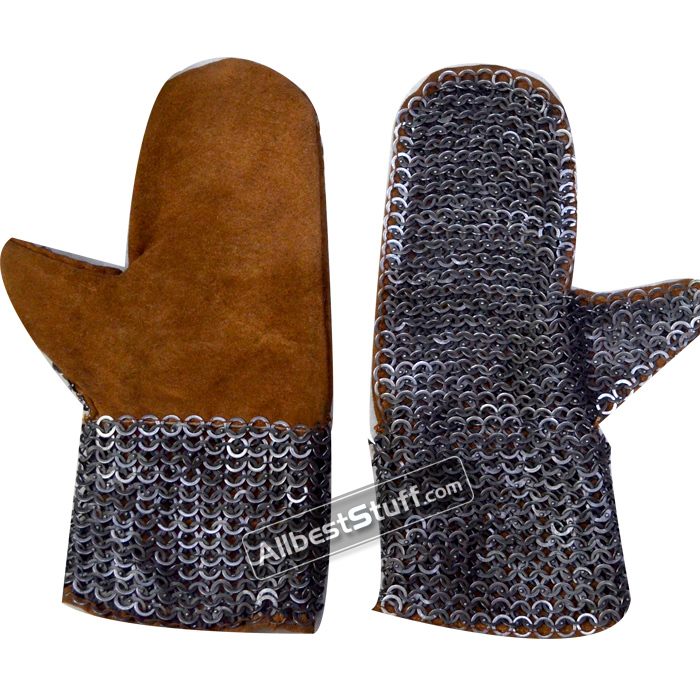 This is a nice pair of leather based chain mail mittens, a perfect piece of hand protection in the battle field. We are offering choice of 3 ring sizes in Flat Dome Riveted with Alternating Solid Ring combination. Please note that only 8 & 9 mm ring can be produced in all three finish i.e Original Oiled, Blackened or Galvanized. 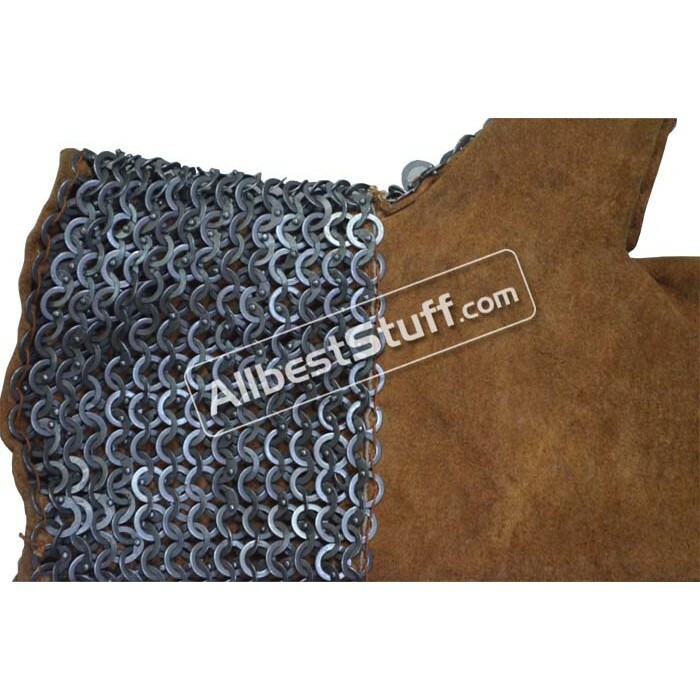 In case you wish to buy 6 mm ring mittens, you must choose either Oiled or Blackened finish, choosing Galvanized finish along with 6 mm mittens will put your order on "Hold", we will not be liable to refund additional charged paid for Galvanized finish.